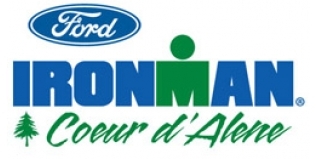 Ironman Coeur d'Alene saw, as predicted, wins for two-time Iroman World Champion Craig Alexander (AUS) and Great Britain's Julie Dibens. Both can now relax, safe in the knowledge that their Kona slots for October are secure. In taking the win, Julie became only the sixth British female athlete ever to win an Ironman® event, adding to the bronze medal she won at Kona in October 2010. The run was tough, and at times Dibens walked to ensure sufficient nutrition/recovery, but she managed her energy well and with such a huge buffer still came home to gun-to-tape Ironman win. She finished almost 13 minutes clear of Caitlin Snow, the fastest female runner on the day with a 3:03:12 marathon. Dibens crossed the line in eighth place overall. For Alexander, he spent much of the day chasing the German Team Commerzbank athlete Maik Twelsiek who was setting the bike pace and like Dibens on his way to a bike course record. Alexander had a nine minute deficit to make up at T2, but the Aussie is one of the very best on the marathon and a cool and calculating tactician. Despite a relative lack of racing this year due to illness he produced a fantastic 2:46:54 marathon split and gradually closed and then passed the German on his way to another Ironman win. Twelsiek ran strongly himself, but his bike course heroics were not enough to beat Crowie, who took the win by a five minute margin. 43 year old multiple Ironman winner Tom Evans took third, but was 25 minutes in arrears of the German.